Watch for our Fall 2018 Class Schedule! The first class session was a public screening of the movie Antarctica: Ice and Sky on Wednesday, April 19th at the Violet Crown theater. The movie is about French explorer and scientist Claude Lorius. His work in the Antarctic, beginning over 60 years ago, eventually unearthed compelling evidence that climate change was a man-made occurrence. The special feature was followed by a panel discussion with scientists Matthew Hoffman and Steve Price from Los Alamos Laboratory, who provided a current perspective of ongoing research on climate change. At the next class on April 26 we looked at consumption and waste. The presentation was given by Adam Schlachter from the Santa Fe City Solid Waste Division. His talk, titled Reduce, Reuse, Recycle, Refuse, gave a different perspective on recycling. In addition to waste reduction, recycling provides raw material that can be reused and manufactured into new products. Recycling plays an important role in reducing our carbon footprint in the basic supply chain of goods and services. On May 3rd our class presenter was Bob Kreger who spoke about Greening Our Homes. His presentation was very in-depth covering home construction with a focus on energy savings and water efficiency. He introduced the Home Energy Rating Score (HERS) and the Water Efficiency Rating Score (WERS) as two tools that can be used to predict and verify energy and water use. He also went through an example of remodeling a house in Albuquerque that greatly reduced annual energy use. His presentation also demonstrated how energy and water savings can come about through utilizing better city building codes. The class on May 9th met at the Rooted Leaf Farm and Lauren Kendall gave a talk on Nourishing Ourselves and the Planet. The farm is adjacent to the Arroyo Vino Restaurant and provides a significant amount of the vegetables served at the restaurant, while the waste from the restaurant is then composted at the farm site. It is a good example of the farm to table arrangement which reduces our carbon footprint. Agriculture, forestry, and land use changes taken as a whole are responsible for about one fifth of all global greenhouse gas emissions. Continuing on the theme of land use changes, the May 10th class featured Courtney White on the subject of Carbon Ranching. The idea behind carbon ranching is that there is too much carbon in the air from emissions and not enough carbon in the ground. Vegetation plays a critical role in the carbon cycle. Carbon ranching sequesters additional CO2 in plants and the soils to mitigate climate change. Strategies such as the conservation of open space, the implementation of no-till farming agriculture, and planned grazing systems are a few methods to implement carbon ranching. Restoring western rangelands, particularly cut arroyos as shown in the work of Bill Zeedyx, are also strategies in improve land conservation. The class on May 17th featured Mark Gaisser from the NM Energy Conservation and Management Division. His presentation, Powering Our Lives, looked at our current energy consumption and our energy generation. New Mexico’s energy consumption was summarized as 65% for commercial (34%) and transportation (31%) and 35% for commercial 18% and residential (17%). 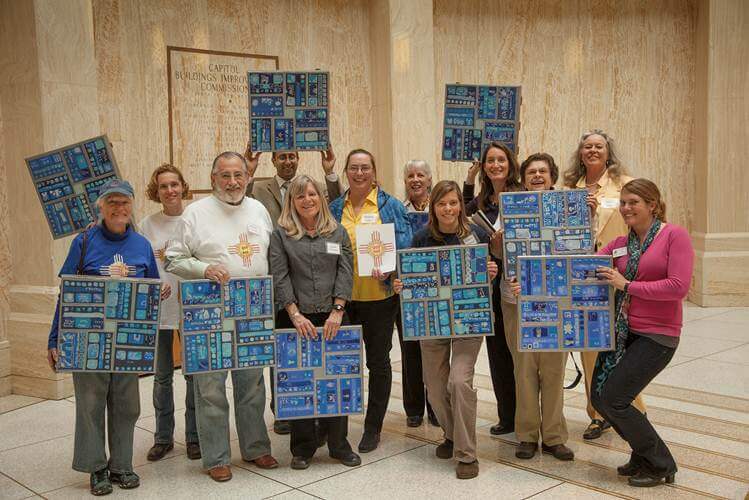 Fossil fuels accounted for 80% of NM’s energy production in 2016 and renewable energy accounted for 12%. Projections show NM electrical energy supply will be changing, and by 2030 renewables will account for 48% of energy production. The consumption by sector will also be changing as electric cars, buses, and trucks will lessen the demand for petroleum to fuel transportation. Permaculture is the integration of human society with a form of perennial agriculture that mimics the patterns of nature and ecological systems. This was the topic for the field trip to meet Reese Baker and see his home landscape on May 20. His efforts were impressive. He integrated water resource management into his design to develop a sustainable landscape with different zones allowing a diversity of plants. On May 24th, the topic was on transportation. Dan Baker, Tim Rogers and Keith Wilson presented information on The Way We Move: Bikes, Buses and Cars of the Future. The presentations were practical and looked at alternatives to our current transportation options. Getting around Santa Fe on bikes and taking the bus are valid options that are supported by the city of Santa Fe. The cars of the future will be electric and that is exciting. Right now electric cars are expensive, with limited range, and the support infrastructure is just getting started, but once these challenges are addressed electric cars are the future. Next on the agenda was a hike into the Upper Santa Fe River Watershed on Saturday, May 27. We started the hike at the Santa Fe Preserve that is owned and managed by the Nature Conservancy and quickly learned of the early history of the Santa Fe River. Further up the road we came to Nichols Reservoir, the lower of the two reservoirs that are part of the Santa Fe municipal water system. Today, these two reservoirs provide about 40% of the city’s water supply. Bill Armstrong from the U.S. Forest Service was our primary presenter. He provided an overview of some of the forest management practices that are being implemented to restore and preserve the watershed. They include using prescribed burns that reduce forest fuels. He also presented information on how increasing temperatures are reducing tree productivity and survival in Southwest forests. Our last class was on May 31st with Christine Chavez from the City Water Conservation Department giving a presentation on “Water in the West”. 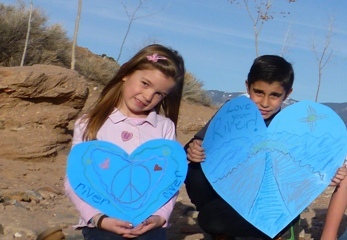 Santa Fe has been successful in conserving water through marketing outreach efforts. These strategies have increased awareness of the role water plays in how we live, work and play, and the community’s role and obligation (ordinances) in using water efficiently. Now the city is looking at the next levels of water efficiency practices. The plan continues to increase awareness, but with a focus on making it easier for individuals and businesses to implement conservation efficiencies that produce measurable results.